Could actor/comedian Don Rickles have lived even longer if he took more alternative steps to manage his kidney disease? Last week America lost a Hollywood icon and comedic legend. Rickles and his revolutionary, unapologetic comedic style will definitely be missed, but lives on in today’s top comics like Jimmy Kimmel and Jon Stewart. 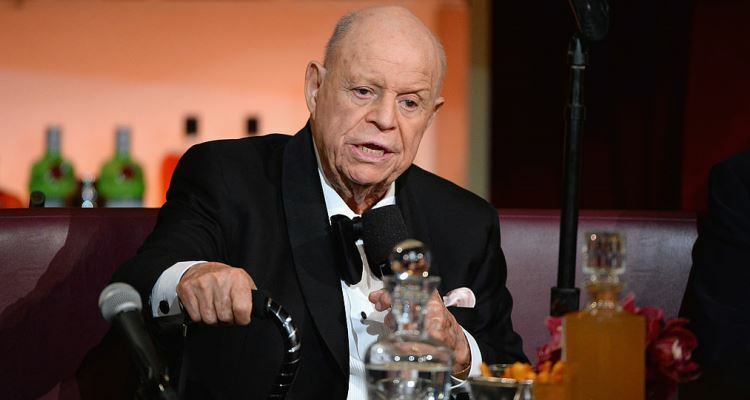 Rickles died at home on April 6—about a month shy of his 91st birthday. His life taken by kidney failure. At 90, Rickles was definitely not a young man. His kidneys—the organs responsible for filtering waste products from the bloodstream—had served him long enough to outlive the average national lifespan of 78. But, could he have lived even longer? Now, I’m not a doctor, but I think if you die at home at the age of 90 and were on the road touring up to the final year of your life, you were in pretty good health. He did battle a flesh-eating disease in 2013, but after undergoing multiple surgeries, he kept at it and lived an active life. Prediction and prevention of kidney disease can be tough. Only a doctor can diagnose the condition. But if you’re in decent health, it is treatable and possibly reversible. The disease limits the kidneys’ ability to filter waste products from your blood, leading to high levels of waste accumulation and toxicity. If you’ve been diagnosed with kidney disease at any stage, follow your doctor’s instructions, whether it’s just lifestyle changes, blood pressure medication (blood pressure control is extra important for people with kidney disease), or even dialysis. In addition to your medical treatment, you should take some other alternative measures to help keep the damage in check and prevent or stave off kidney failure. In fact, if it’s caught early enough, before significant damage is done, treating kidney disease can be relatively easy mainly using lifestyle changes. First of all, you need to know that herbal or natural supplements can be very dangerous for people with kidney disease. Because damaged kidneys don’t work as well filtering out toxins, waste products, or other potentially harmful substances from your blood, avoid herbal or natural remedies unless your doctor gives them the thumbs up after your kidney disease diagnosis. The National Kidney Foundation specifically warns against products featuring potassium and phosphorous, such as popular herbal supplements like American ginseng, milk thistle, turmeric, flaxseed, coriander, evening primrose, dandelion, and cat’s claw. Potassium and phosphorous are needed in controlled amounts in the body, but too much in the blood can be quite dangerous. Limiting potassium and phosphorous in your diet is a smart way to manage kidney disease and limit your chances of kidney failure. Some high-potassium foods you may want to cut down on include bananas, oranges, potatoes, spinach, and tomatoes. Some low-potassium foods you can eat instead are apples, cabbage, green beans, grapes, and strawberries. Too much phosphorous is uncommon if you’re not taking a supplement, but you may be overdoing it if you eat a lot of dairy or legumes. Milk, cheese, dried beans, nuts, and peanut butter are rich in phosphorous. If you notice your skin begins to itch after eating these things, you should think about limiting consumption. To be honest, we don’t know what steps Rickles took in his personal fight against kidney disease or what factors were involved in his condition. However, we can speculate that if he’d caught it on time and had combined both standard medical care and some of the natural lifestyle changes, perhaps he could have made us all laugh for a few more years. “Herbal Supplements and Kidney Disease,” National Kidney Foundation, 2015; https://www.kidney.org/atoz/content/herbalsupp, last accessed April 10, 2017. “Acute kidney failure,” Mayo Clinic, June 5, 2015; http://www.mayoclinic.org/diseases-conditions/kidney-failure/basics/prevention/con-20024029, last accessed April 10, 2017. Kochanek, K., “Deaths: Final Data for 2014,” Centers for Disease Control and Prevention, June 30, 2016; https://www.cdc.gov/nchs/data/nvsr/nvsr65/nvsr65_04.pdf, last accessed April 10, 2017.